An exciting opportunity has arisen to expand our Military Advocacy Service in our 5 project areas to support and facilitate the development of specialist advocacy services to veterans across the South of England region. 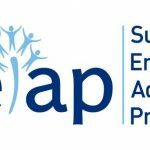 seAp Advocacy is looking for a staff member with experience of the Military (direct or direct family), to become an Advocate to help, support and empower veterans and those leaving or who have left the armed forces. These veterans may experience a range of difficulties in civilian life this could include issues around health, wellbeing, benefits, housing and access to support services generally. We provide a confidential, independent advocacy service, supporting clients in having a voice about their health and wellbeing, the services they receive and decisions that are made about their lives. seAp advocates support clients to express their views, wishes and feelings, assisting them in protecting their rights and ensuring that those who are particularly vulnerable or excluded have an opportunity to take forward issues which are of importance to them. We are looking for someone who wants to help other veterans who may be struggling to adapt to life outside the military and need support in accessing the services that they are entitled to but on their own find it difficult to achieve. The post holder will need to be non-judgmental, resourceful, adaptable and able to get on with people from all different backgrounds. Training will be provided for this role so previous knowledge of advocacy services is not required but any understanding/awareness of advocacy would be welcome. Knowledge of local services available in the above-mentioned areas and the benefits system would also be an advantage. seAp provides specialist advocacy training for all staff. All applicants invited to interview will need to provide evidence of their eligibility to work in the UK, have two references and undergo Enhanced Disclosure & Barring Service Clearance. seAp values equality and diversity and welcomes applications from all sections of the community. seAp is looking to address an under-representation of men in the advocacy workforce and therefore particularly encourages applications from men interested in this opportunity. NB: seAp reserves the right to bring forward the closing date if it believes sufficient applications are received to make an appointment. To apply for this job email your details to claudia@primasmedia.co.uk.